Why do Veneers cost what they do? You might not even need veneers! How much for a porcelain veneer? The price of new vs replacement veneers? What if I need a full set? Patient Reviews: They will literally melt your heart! In this article we’re going to answer the question, how much do veneers cost? There isn’t always a simple answer but we are dentists and have your best interests at heart. We’re going to be as upfront and open about our prices as we can be. At Smileworks we’re really proud of our prices because you get the best quality treatment for a reasonable price that you can afford. This is an article about the cost of veneers. If you want to know about veneers in general then take a look at our main veneers page. Getting a consultation is important if you’re thinking about getting veneers. And I know what you’re thinking; ‘you just want me to come into the practice so you can sell me stuff, right?’ Or you may be thinking ‘you don’t want to give me the price because you don’t want to scare me. Because it’s going to be astronomical!’ Well neither are true. You’d be amazed how many patients we see who think they need veneers. Patients who come in and realise there are actually much simpler (and cheaper) ways to fix their aesthetic problems. To give you an example, some people have been told by their dentist that their teeth cannot be whitened with professional teeth whitening. They’ve been told that they will need veneers. This might be the case but did you know that there are special types of whitening procedures called ‘internal bleaching’ that can whiten even non-vital, grey teeth? Also you might be much better off with solutions that are more functional than aesthetic such as dental crowns and a dental bridge if there is significant damage to the teeth. 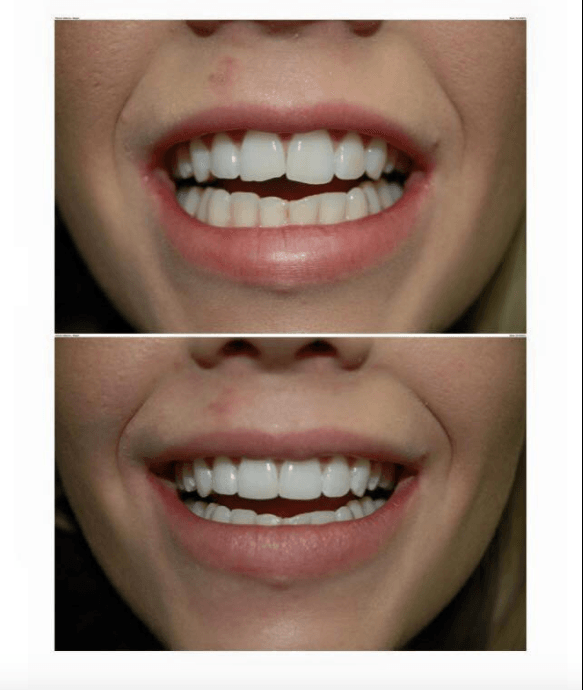 So plenty of people come to us thinking they need to spend thousands on veneers when in fact a simple teeth whitening treatment can change their entire smile for the better. So telling someone they need to spend £4,500 when in fact they need only spend £400 is just silly. And we care about you and hate for you to go through life thinking, “I need veneers to make my life better but I can’t afford them” when in fact you can afford the right treatment that will improve your smile and fill you with confidencee and bring you happiness. It’s important to remember that you don’t want veneers. Nobody wants veneers. What you want is a beautiful smile, confidence, status amongst your peers and most of all happiness. And there are plenty of dental treatments out there that are significantly less costly that can bring you all of those things – and more. So this is the first reason that you need to make an appointment with your dentist. You might not actually need what you think you need. The dentist is the only person who can do the proper diagnostics to tell you precisely what you need to make your smile beautiful. Other less invasive alternatives to veneers is Invisalign® treatment. See our main page by following the links. We also have a specific article about the costs of Invisalign® and invisible braces. You can read that here: Invisalign Cost. The other reason you need to book an appointment is that there are tons of different types of veneers – and we need to speak to you about which ones might be right for you. Again, you can’t really decide this – unless you come for one of our award-winning consultations. The information you receive from our team will change everything you know about veneers and make you feel smart – and possibly change your world for the better. There are many different types of veneers and they all cost different amounts of money. We often tell people that veneers will cost you as mush as you want them to – within reason. You can get Ferrari veneers or you can get ford veneers. Composite resin or a fulll smile makeover. 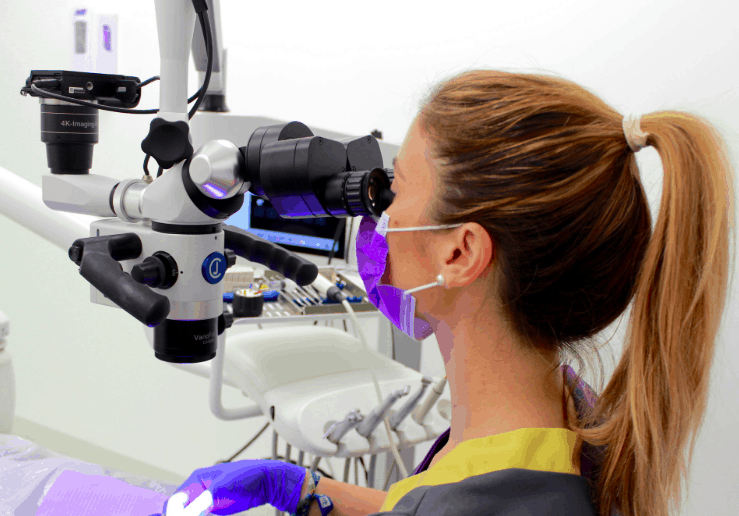 The choice is absolutely yours and our talented cosmetic dentists will guide you through the process of choosing the right fit based on your needs. Ferraris and Fords aside, you will see people walking around Liverpool with the equivalent of third-hand souped up Vauxhall Astra veneers. You know the dreadful toilet-bowl white, massively conspicuous ridiculously white teeth. Well we don’t do those here at Smileworks. This is a caring, responsible and sensible environment and we won’t put dreadful veneers in your mouth no matter how much you pay us. As well as different costs for each type of veneer there is also the amount of work to think about. If you only want one veneer then that’s obviously going to be less expensive than the cost of a full set. What’s more; the state that your original teeth are in is going to affect things as is the difference between new veneers or replacing existing ones. This is a really exciting experience and one that our patinets talk about alot in our reviews. 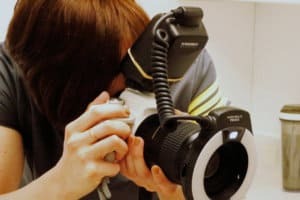 We do the most comprehensive assessment with lots of photos, diagnostics and finding out everything we can about your smile and how to improve it. We print it off and vive it to you in a nice folder to take away. You may have diagnostics or x-rays. All painless (and sometimes even fun because you can learn about your mouth in ways you never imagined. And it’s not ever as bad as you think it is! You leave happy, better informed and ready to choose what’s right for you. More complicated diagnostics and x-rays are included in your consultation fee of just £50. Not bad considering the machinery and experts time usually adds up to easily £100,000 or more! Taking some professional digital photos with our SLR high definition clinical cameras – you’ll already feel like a movie-star! Composite veneers are less expensive than porcelain because they’re sculpted from special composite resin in a single visit to the dentist. This is different from two or three visits and the expensive lab-work required for porcelain. Composites cost between £200-500 per tooth and last 5-10 years. Porcelain are £500-1000 per tooth and last 10-25 years. Composite veneers are the veneers that are made out of a paste that hardens and is polished by your dentist. 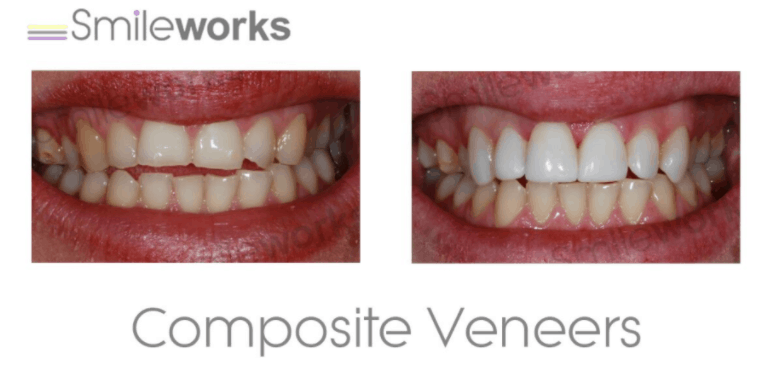 Not every dentist does composite veneers because they are as much art as science. 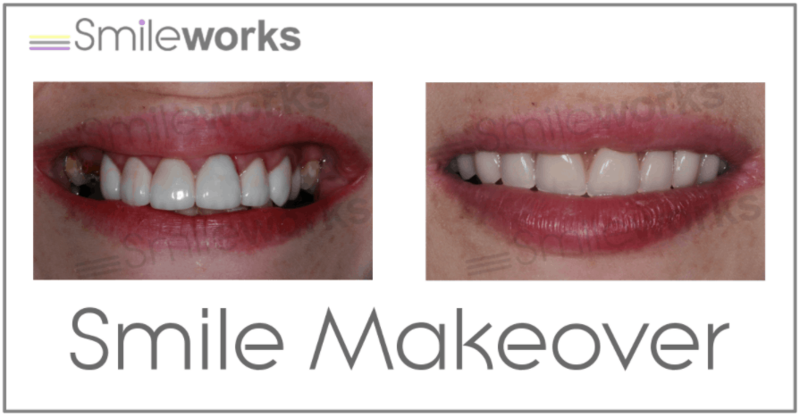 Here at Smileworks we use a fabulous product called Renamel® that produces lifelike, beautifully translucent results. But you don’t have to get Renamel if you don’t want to. We have other materials that are good for different reasons. Porcelain veneers cost between £500-£650 per tooth. 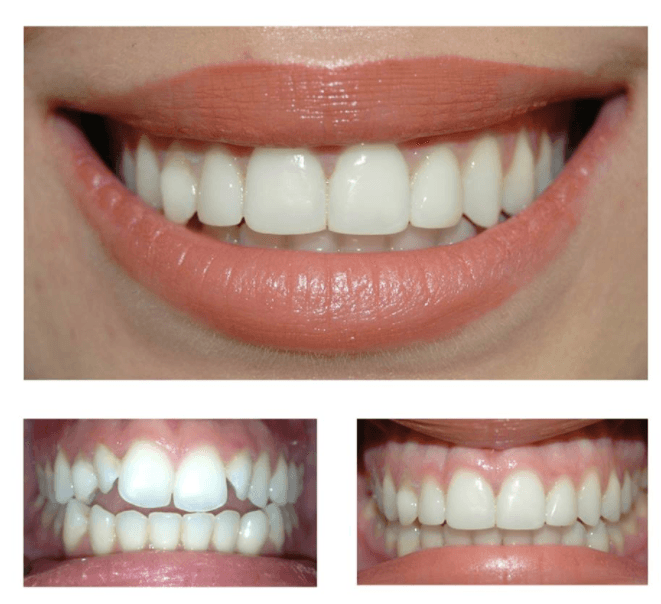 They are three times the price of composite veneers but are often not three times better looking. The reason that they are more expensive is that they are made in a lab by a ceramist. He has his own tools, his own office and his own stuff which he (or she – ours happens to be a he) uses to craft beautifully translucent restorations. Making veneers is pure talent and we use a great lab who gets us the best results. The difference in cost is simply that we have to pay him to do his work and this is factored into the cost that you pay. So whether your veneers are EMAX or feldspathic porcelain, they are made by someone else and that’s why they cost more. EMAX is super lifelike and porcelain is super strong, that’s the only difference really. Whether you get one or the other will be determined by your case, the colour of the teeth underneath, the presence of any factors that would require a specific material (e.g. tooth grinding) and of course your preference. New veneers must be critically evaluated. We work very hard to make sure that they are the right choice for our patients. A mouth full of porcelain veneers may be great if you are older, or your teeth are very damaged, or your old set needs replacing. However for younger people, a new set of veneers means a lifetime investment. the average set of 6 front veneers in the lifetime of a 20-something year old can be considerable. Veneers need to be replaced about three times (every 15-25 years so the full lifetime investment is around £20,000. This allows root canals when teeth flare up and any common problems associated with veneers. In addition you may need to replace your veneers with implants as you get older and this can lead to a significant investment. For our younger patients, prepress veneers or composite veneers cost less and are a much better option because they do little to no damage to the underlying teeth. A full set of veneers costs between £3,600 and £10,000. How did we work this out? Well six teeth is usually £3,600. So if you want your ‘social six’ replacing with veneers then this will be the rough cost. But consider with a full mouth of veneers there are always things like root canals, periodontal appointments and other work that may need doing that can increase the price by 10% or so. 8 veneers cost around £4,800, 10 costs £6,000 and more than ten will be £10,000 plus. There is a range of prices because you might need a combination of veneers and crowns. Also when you place veneers there is always the risk of damage to the underlying tooth. This can mean root canals which increase the cost. You may also want additional cosmetic treatments. 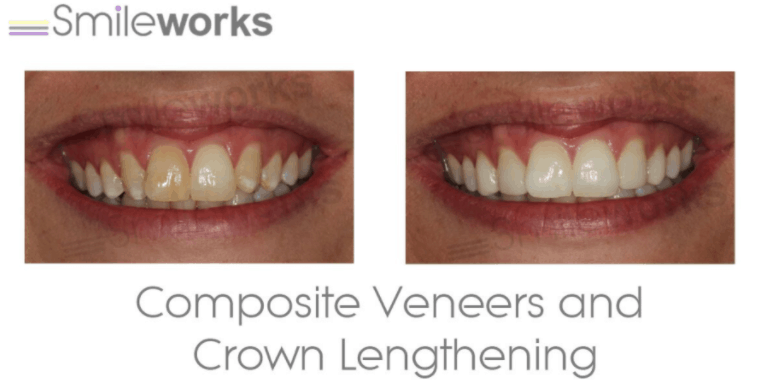 Crown lengthening is a great cosmetic treatment to do at the same time as getting veneers. This is where the gums are reduced, giving you more of a ‘Hollywood smile’. Also teeth whitening will always be required before the veneers are placed. Veneers don’t whiten like natural teeth. Their shade and brightness is set. So we require patients to whiten and get their natural teeth to the desired whiteness before fitting the veneers. So who has 6,000 sitting around in their bank accounts? Well more people than you’d think actually. But for those who don’t there’s finance. About 75% of Smileworks patients prefer to pay on finance. Smileworks offer the best 12 months interest free dental finance and also 5 years 9.9% interest bearing loans for your dental treatment. So there you have it. 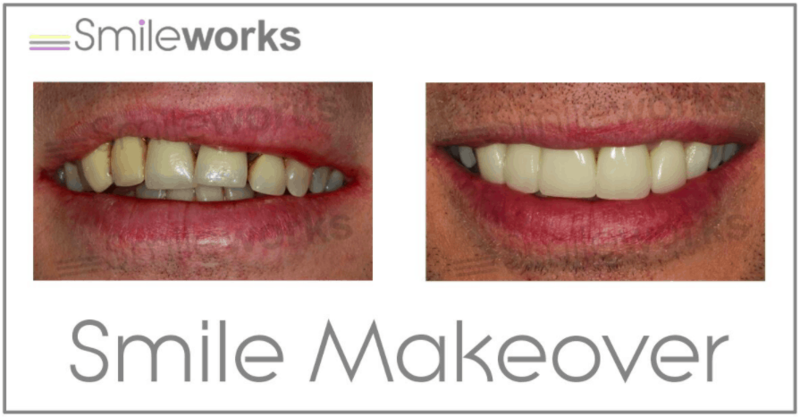 An itemised, no messing about assessment of the cost of veneers at Smileworks. We are not the cheapest. But if you are shopping around on price then be very careful for two reasons. Oftentimes ‘special offers’ are not what they seem. And offers that are too good to be true usually are. This is complex dental work and believe it or not your Dentist doesn’t make huge profits on the work they do. Customers won’t pay a huge amount for this type of work in 2019 and do, unfortunately, shop around on price. So dental practices tend to put lower prices online to get patients in to their practices. Usually with free consultations. 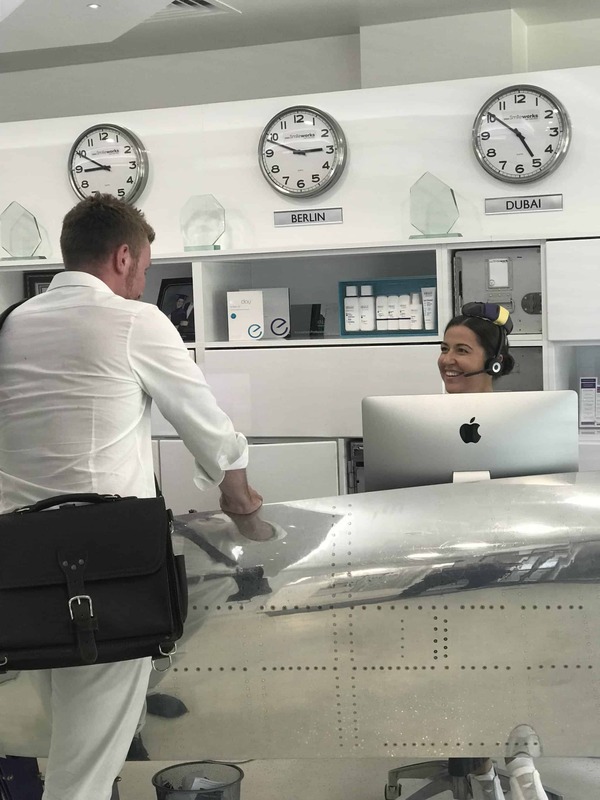 But practices like us – the true professionals – are efficient and charge for the consultation because it’s one of the most important parts of getting the work done to perfection. 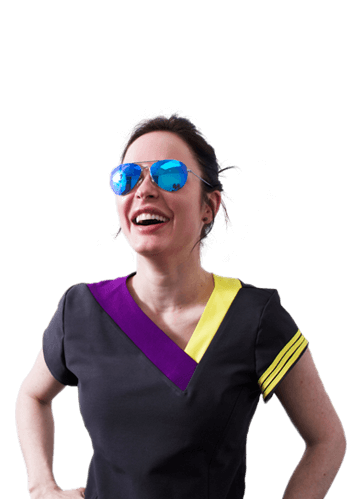 You will not speak to a non-dentist ut find a team of caring and responsible dentists waiting to advise you and answer all your questions, making the whole process run smoothly and giving you the information and tools you need to make a choice. So how do these prices stack up to some of the big main competitors? The Harley Medical Group quotes porcelain veneers starting from £795 per tooth (but it’s usually more like £1,000 when it’s all added together. The Liverpool Smile Studio here in Liverpool quotes prices starting from £389 for Porcelain. This is crazy and they are certainly more expensive than this unless you are getting very cheap materials. Tracey Bell here in Liverpool quotes Porcelain veneers starting from £700 per tooth, more than the upper limit of many Liverpool providers in 2019 here in Liverpool. However, many of the companies that you look at locally simply say ‘enquire’ rather than giving out ballpark prices. And hopefully you now know the reasons for that. They think that once they get you in the door they can ‘hard sell you’ or ‘up-sell’ you. We are professionals and what you see is what you get. That makes for happy dentists and happy customers. You can see a great comparison of prices in the WhatClinic listing here. Although many of the prices may not be up to date and it’s always best to check the individual website of each provider. Cheap cannot mean quality. The two things are opposites. So you may get a great deal but your veneers won’t look natural. Also you’re unlikely to be happy with them. Then you have to remember that if you’re in your 20’s or 30’s then they’re going to need replacing. They need replacing a few times in a lifetime so it’s going to be much better in the long run to choose a quality provider. If you’re interested in getting cheap veneers abroad than take a look at this extremely interesting account from some of our best cosmetic dentists on dental tourism. To be frank, getting a better smile at any price is a bargain. If you think that you will gain confidence and satisfaction from being able to smile again then that is truly a priceless commodity and it’s the reason we get out of bed in the morning and do these things for our patients. To speak to a professional or find out which veneers might be right for you call the office on 0151 236 5166 or fill out the form to get yourself in with a Smileworks cosmetic dentist. Once you see our practice and speak to our people you’ll soon see that you are in very safe hands.